Dindigul, a road transport hub derives its name from the word Tintu Kal, meaningpillow rock, reffering to the bare hill which dominates the city. The fortress built on the hill during the Vijayanagar era of the 15th century has witnessed many a wars between the Hindu and the Muslim rulers and the Britishers. The contemporary city contains large-scale cotton spinning and weaving mills, handicraft industries as silk weaving and jewellery and cigar manufacturing units. 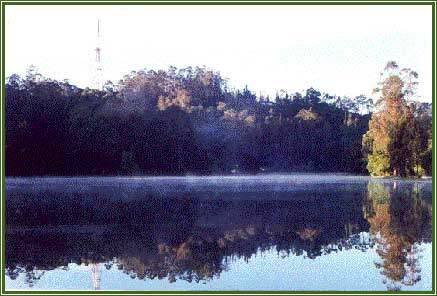 Dindigul is the district headquarters of the Dindigul District situated in between the Palani and Sirumalai hills. 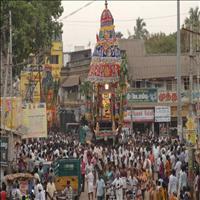 Sri Kottai Mariamman Koil is more than 200 years old. 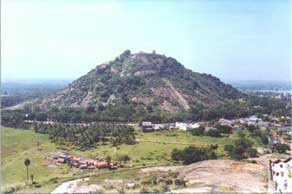 The Mariamman idol was installed by the army men of Tipu Sultan at the fort of the mountain. 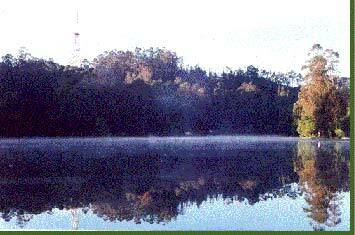 Hence it is called "Kottai (Fort) Mariamman temple". 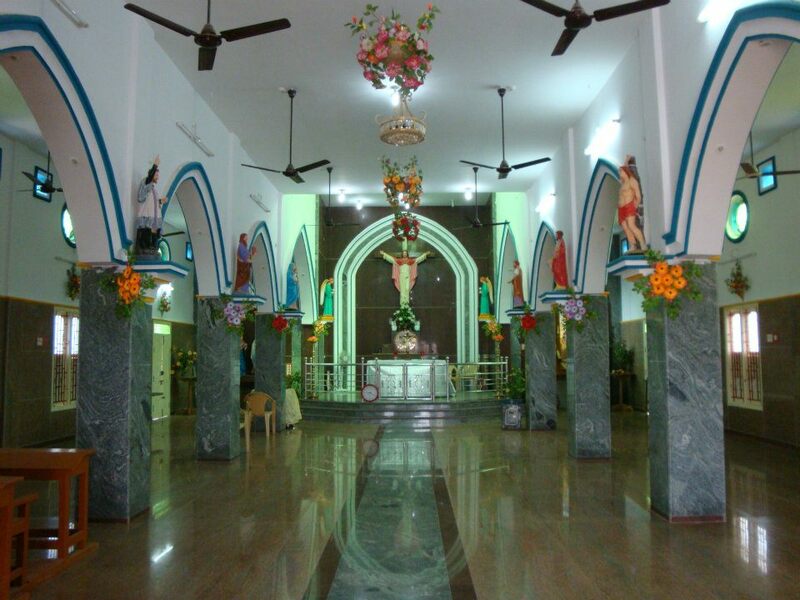 The temple is square shaped and within the temple there is a temple for Vetri Vinayaka at the south and a temple for Lord Muruga at the north. 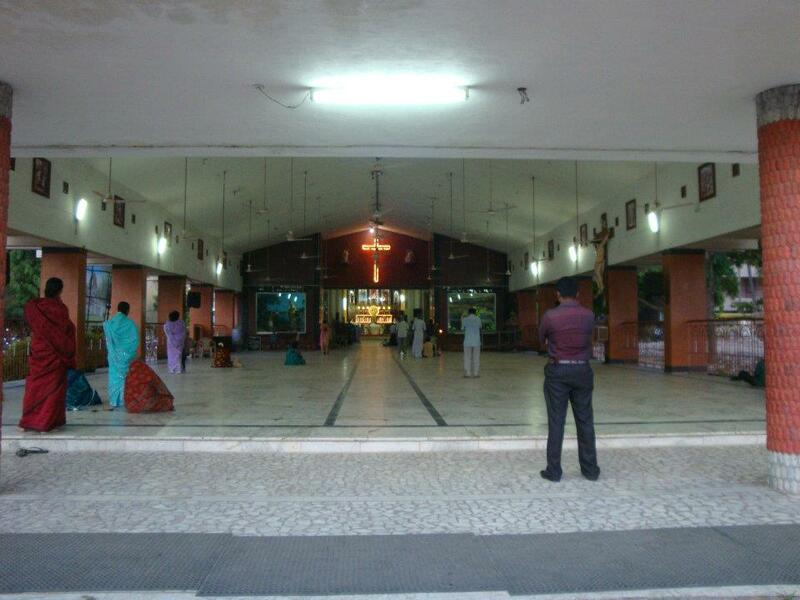 There is a Mandapam (Hall) in the center of the ground in which there is a sculpture of a Lion facing the Sannidhi. The Sanctum Sanctorum is small and square shaped. The deity consecrated ("Moolavar") is seen here, embedded deeply under the floor. There are several sculptures on the sniper structure over the Sanctum Sanctorum, depicting various incarnations of the Goddess Mariamman. On all the four sides, various scenes showing the destroying of the monster by the Goddess are seen. On the eastern side over the Amman Sannidhi is a temple for Vinayaka and on the western side a temple for Madurai Veeran. On the front side of the Sannidhi the Navagraha idols are installed. On the backside of the temple, there is an idol of Kaalhi and another one for Goddess Durga. The golden shield adorns the deity every day between 5.00 p.m. to 9.00 p.m. A Board of Trustees runs the temple. Even though the Kaalakatheeswarar (also spelt as Kaalakatheeshwar) temple is very old, it came into limelight during the period of Thirumalai Naicker, who renovated several temples in and around Madurai. 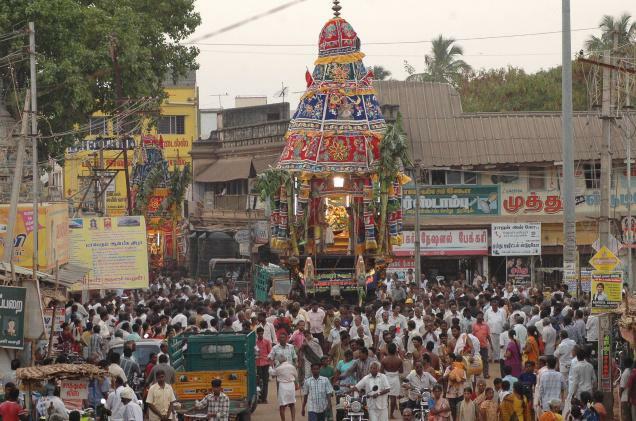 God Kaalakatheeswarar and Goddess Gnanambika are the presiding deities here. It is a practice to bring the idols of Abhirama Devi and Padmagirinagar from the above mountain to this temple and celebrate the Festival of Brahmasaram in the month of Chithirai (April). The Mandapam used for this purpose has been later embellished and the deities Kaalakatheewarar and Gnanambikai were installed and consecrated during the 14th century. 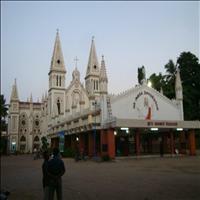 Thomas Fernando constructed St. Antony's church during the period 1982-1989.An important ceremonies of this church is held annually, which starts on the last Friday of January and continues for 15 days. 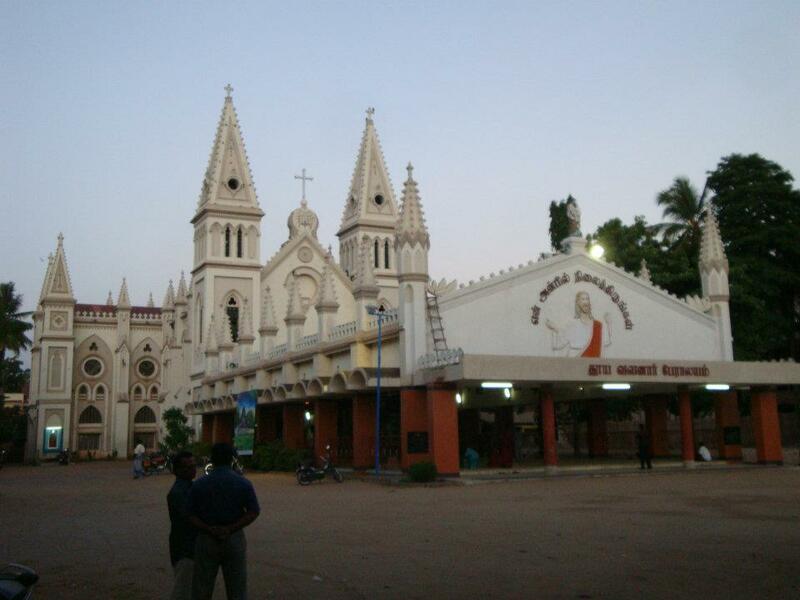 The British constructed St. Joseph church 100 years ago. 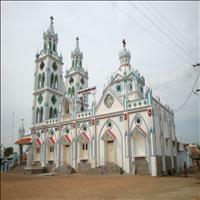 The construction of this church was started in 1866 and completed in the year 1872. 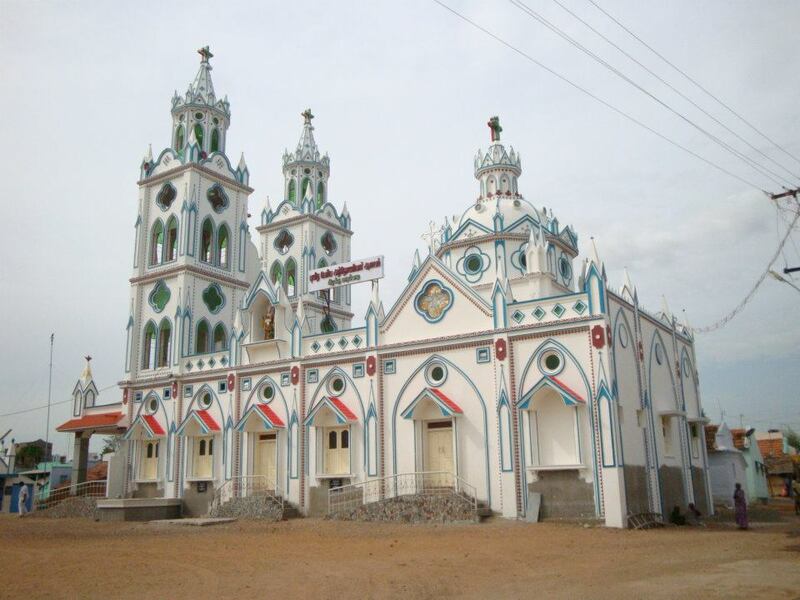 This church is the head church for all other churches in Dindigul District.